went to lino's this lunchtime. very busy. splendid place. lots of warm colours and faded splendour. very speedy service, almost suspiciously speedy. lovely hot chips. a very weedy egg, but in a good way. who is he? what's going on here? what's he got on this tray? i like the random name. is lino a person? isn't lino a floor-covering? I'm glad this place is still up to scratch. It was good a few years ago when it rejoiced in the lovely name, The Buttery. Two additional things to say about Lino's ; one good and one bad. Lino's was featured in ITV's The Vice. If I remember correctly it was an establishment run by the father of a prostitute who had been butchered. Much less good is that the interior has been refurbished recently. Although still appropriately basic, it has unfortunately lost its pink formica table tops. 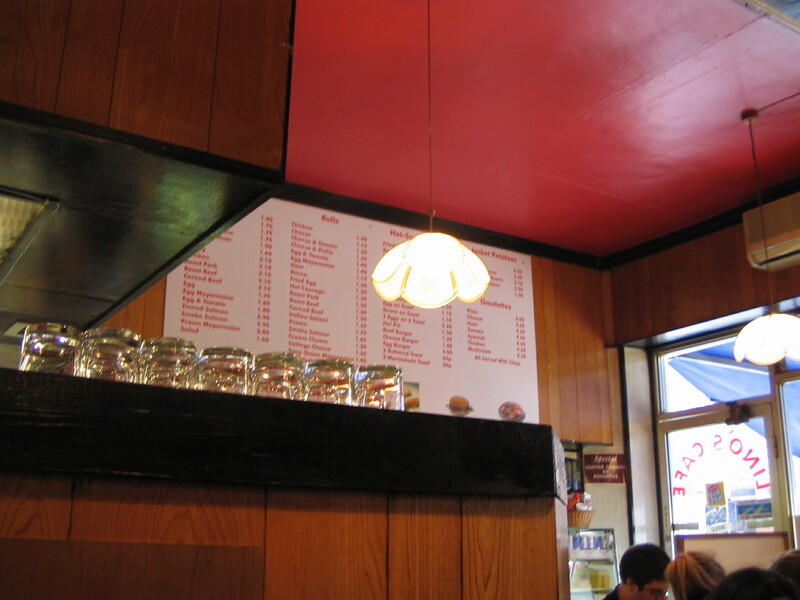 Still, Lino's is still worth a visit if only to marvel at how the door into it has been hung in such a way as to miss the glass counter by only one millimetre. malcolm! welcome, thanks for joining in. I look forward to seeing you at Lino's on Friday. 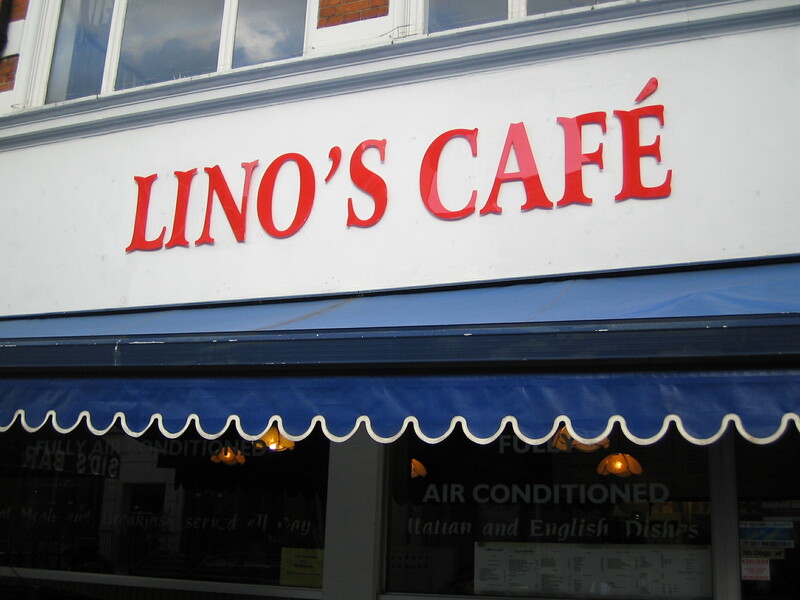 According to an update (March 17th) on Adrian Maddox's classic cafes web-site, Lino's is under threat from a local landlord. If I can find out more, I'll let you know. 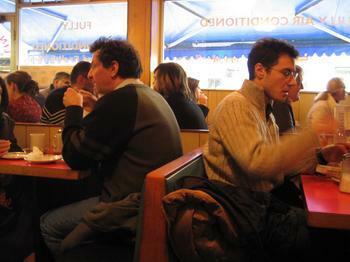 The closure of Lino's is "a few months away". I'll provide further updates when I can. Another good cafe will be biting the dust, so use it while you can. Pray to god it's not going to morph into a Starb**cks. I spoke to one of the guys at Lino's yesterday. The landlord wants to develop the site for flats, and gave notice to terminate their lease in April. They've managed to get an extension for "a couple of months more". One of the guys at Lino's told me last Saturday that they've got an extension till October. He sounded a bit vague about this. Apparently, they still have 10 years left on their lease, and they spent a fair amount on redecorating the place last year. It's a brilliant cafe, so use it while you can. Perugino's in nearby Whitfield St. is also worth checking out. 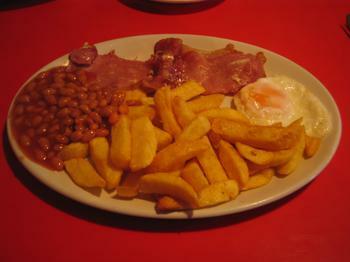 I often have breakfast here with some guys from work - chips for breakfast, fantastic. When the weather picks up they set up tables ouside which is a great way to start the working day. The basement club next door (Sid's I think it's called) can sometimes still be thumping if you're early. 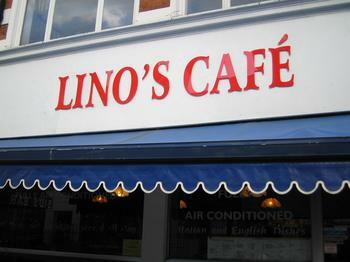 The lease of Lino's is now on one month's notice to terminate, pending the landlord's development of the site for flats. The cafe was still open a couple of weeks ago, but it could be gone at short notice, so use it while you can. It's open on Saturdays till about 2pm. As Malcom said, it's worth a visit just to see the near miss door !!! 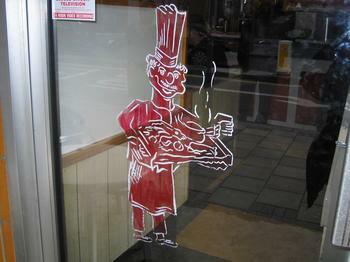 Perugino's in nearby Tottenham St will be a worthy successor when Lino's bites the dust. Bad (but not unexpected) news !!! The manager told me last Saturday morning that the landlord has finally served notice to terminate the lease. 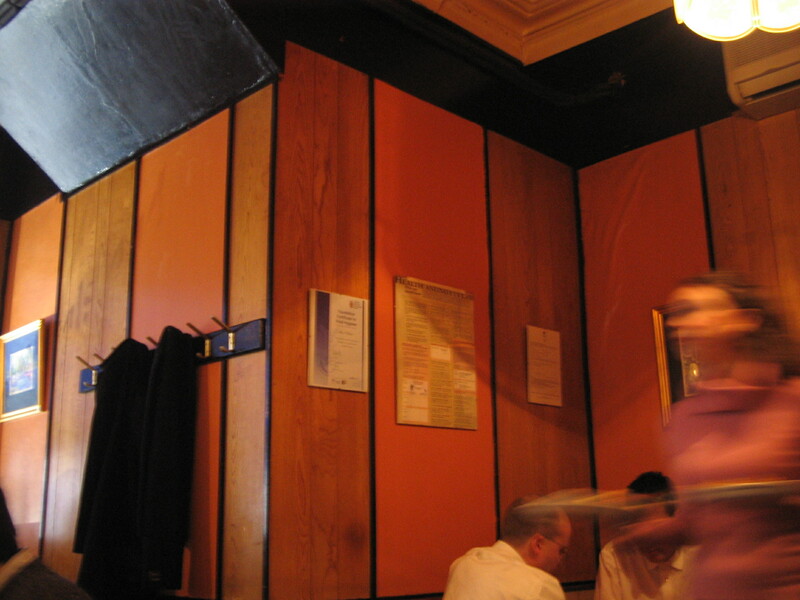 Lino's closes its doors forever on June 30th. Another bit of London's character and individuality gone for good. 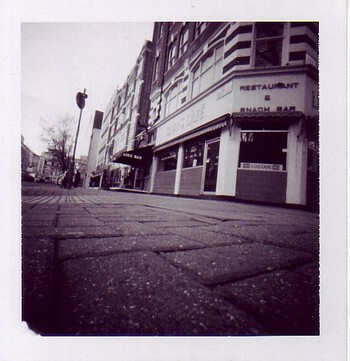 Does anyone remember Cafe Batista which used to be in Charing Cross Road, near the Astoria ? The place closed a couple of years ago and was turned into a Caffe Nero. Starbucks recently opened yet another outlet a few feet away. Variety is the spice of life, huh ? Lino's final day is the 30th June. The owner told me that they'll be opening a cafe "soon" at the southern end of Grays Inn Rd. 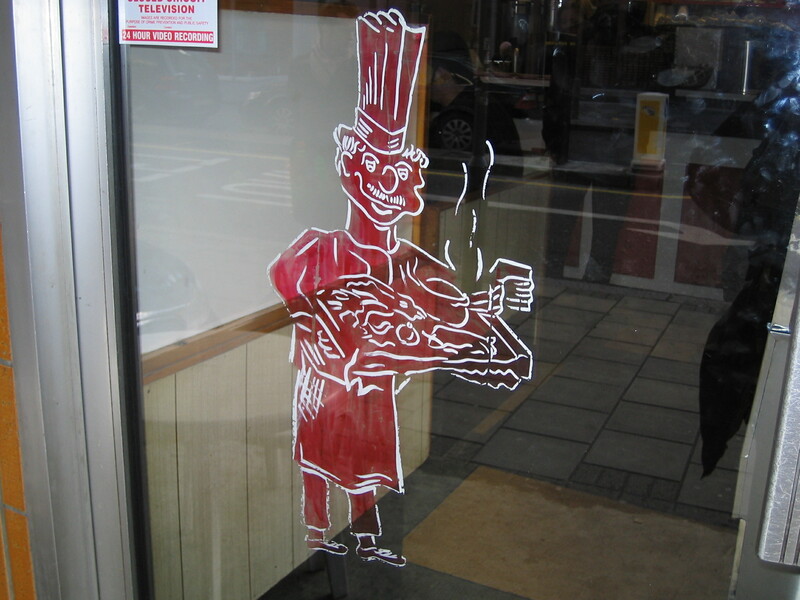 I like the idea of a phoenix-style cafe renewal, like the Panino d'Oro which opened in Marchmont St, after its Brunswick Centre original was closed. I'd like to see Soho's Centrale do the same. Very distresssing news. I had no idea that Lino's was in danger, even though so many other worthy places are. I shall keep an eye open for their reopening at 55 Gray's Inn Road. I hope their staff will reappear too. The manager, cooks and those who serve at table (one from Poland, I believe, and another from Brazil)are truly great people and have given pleasure, good humour, and prompt and willing service to hundreds, not to mention the superb food at very reasonable prices. I never go anywhere else when I'm at the University. I wish them well and hope to meetand eat with them again. what a shame.. had breakfast there just before xams and owner gave us all a linos dairy and a cake.. how cool and rare is that! It's over. Lino's is now no more. Is closed, cleared-out and forlorn. Such a great location - on a corner, glass windows both sides, lots of local businesses around (Imagination, NLA, uni, other agencies, now Fopp etc.) - hopefully someone will keep it a cafe, even in a new development. Good luck to Lino's in the new place too.